We love post-production. It’s when all the hard work turns into something real. However it can be a bit geeky and we appreciate that it’s not exactly a spectator sport so a lot of post production take place before the client actually sees a first edit. It’s not uncommon to have a filming to finished edit ratio of 50:1, or sometimes more. That means we might shoot an hour of material for 1 minute of edit. In the world of high speed filming where a single shot covering 5 seconds of action might play back over 2 or 3 minutes, the ratios are sometimes much higher still. Often we are filming with more than one camera; we might have a B camera, for an alternative angle on interviews or other pieces of action, maybe also a dedicated time lapse camera, or a camera on a specialised steadicam rig, or a drone. With 4K or 5K HD technology every camera may be shooting hundreds of gigabytes of data. And all that data has to be copied for safety onto at least two portable hard drives, kept in different places at the end of a filming day. So for any given job there are many shots or takes, all of which have to be reviewed and assessed before the edit can begin. We do this by transferring the original footage or “rushes” as they are known into a more manageable, smaller file format. Every single frame has its own number, a digital tag that can be shown on screen so the best takes are easily identified and logged for the edit. The director will log the rushes as soon as they are transferred and create a list of the shots he or she wants to use. This then goes to the editor who loads the selected shots into the edit machine, typically a powerful high end Mac with specialised editing software. The editor then starts to assemble the film against the script and storyboard. If there is a voice over we do a “guide V/O”, usually the director’s voice, so the timing of the edit can be tweaked and adjusted. If the film is based on interviews rather than a script the first edit is usually a lot longer than the finished film, giving the director a choice of takes that he and the editor can then work with and gradually narrow down. The director and editor review the first rough cut and may add a music track at this early stage if it helps make the film more watchable. The track will be either the finished music or again a “guide” for style, that can be changed later for either specially composed music or a different library track. The finished first rough cut is what goes to the client. 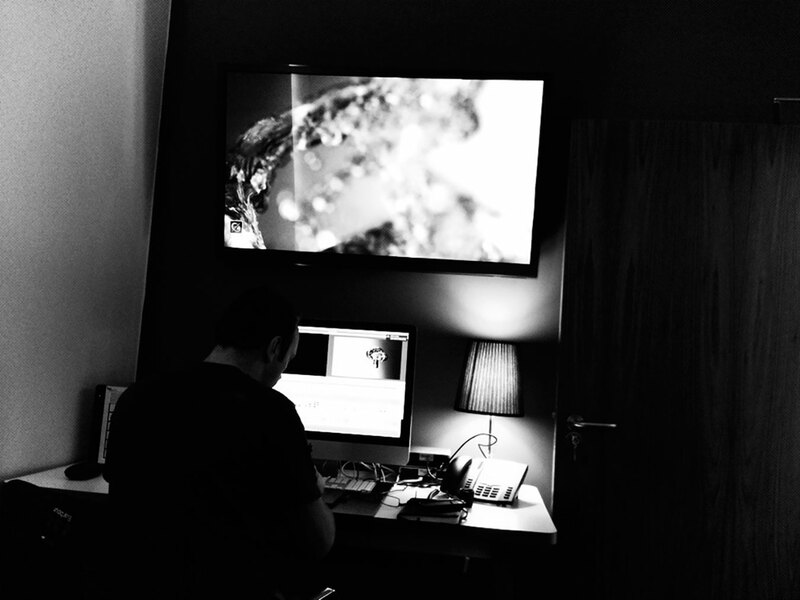 Sometimes clients come to our edit suite at this stage to review the edit with us and make suggestions for changes. But this isn’t always possible due to geography or availability, so what normally happens is we upload the edit to a password protected Vimeo page or send it as a downloadable file for remote viewing. This works really well, especially when several different people in widespread locations have to review the edit and feed back their comments. As well as establishing close relationships with clients on projects over the years there are some clients we have never met, because they are based in other continents. Technology makes it perfectly possible to work remotely. The same principle applies to voice over artists. Traditionally once everything is approved we record with the artist in person in a studio – and that’s still the best way to work when we can. 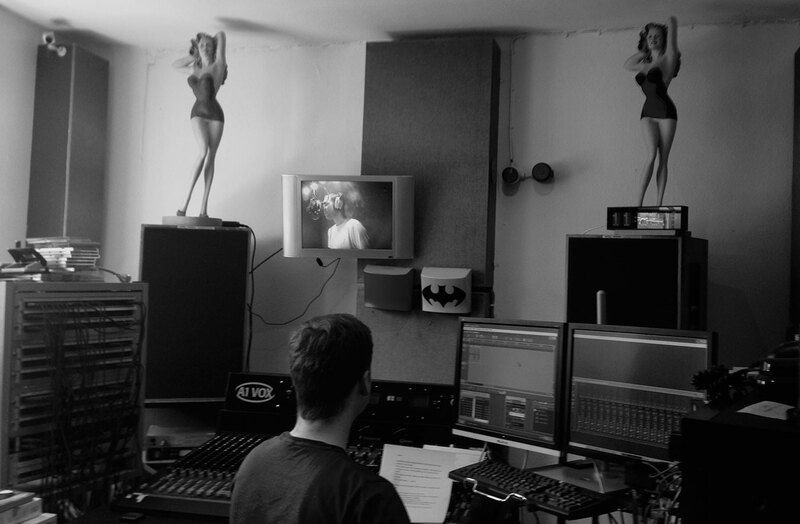 But many V/O artists now have their own studio set ups at home and can transfer finished files by WeTransfer or Dropbox. Directing V/Os via Skype is more and more common and it can save time and money. The only way to ensure the best quality recording though is to use a dedicated sound studio with an experienced engineer and the V/O artist recording your well chosen words in a booth. Motion graphics or animations to help enhance the film can be slotted in at different stages but normally they are done during post production, either in tandem with the edit or separately where sequences can be dropped into the edit independently. It’s important for the director, motion graphics designer and editor to work closely together to ensure that everyone gets what they need to do their job at the right time. 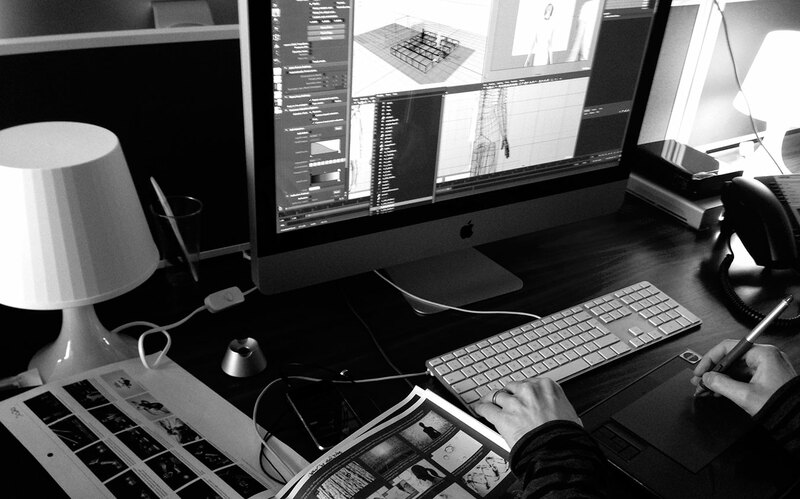 We do a lot of animation work and as with any aspect of production the key is preparation. The animator or designer needs to have as much briefing material as possible to enable him or her to create sequences that tell the story with accuracy and power. With 3D graphics we sometimes work with in-house designers or engineers. If they can supply suitable CAD files our animation team may use these to create 3D objects that can then be rendered, textured and animated. It’s exciting to see all the aspects of a storyboard come together as a film takes shape. Production music is another essential element in the mix. 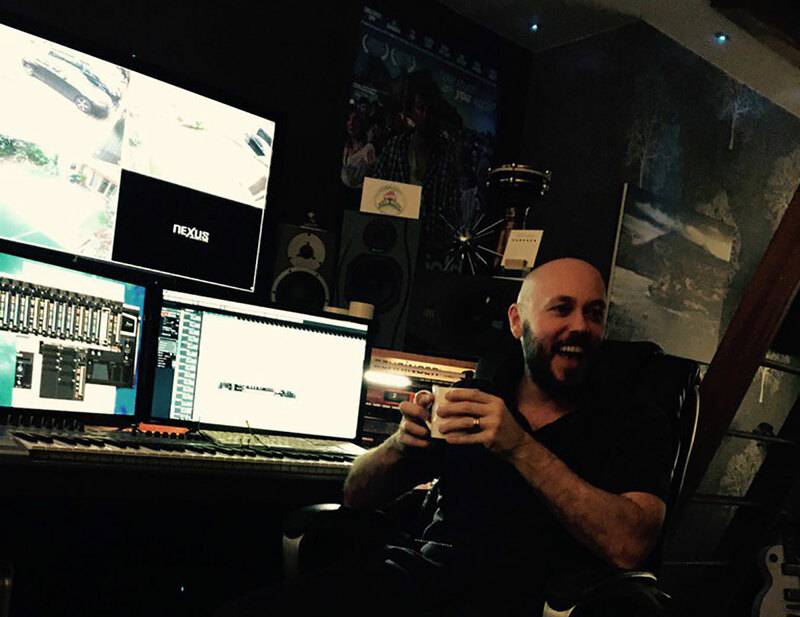 We work with talented film composers who can either create music based on the finished film or alternatively develop a music score from the director’s brief that we then edit the pictures to. If the budget will not run to an original composition our composers’ library is vast and we are used to finding exactly the right track to match the mood. 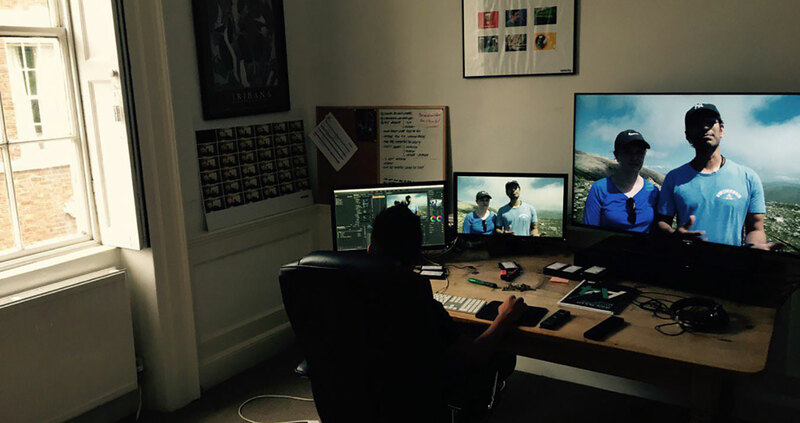 The final stages before delivering the film are colour grading and sound mixing. Both are film making skills in their own right and play an important part in reflecting the atmosphere the director wants to create. Grading involves applying a particular “look” to the finished film using subtle adjustments and colour techniques. Sound mixing may be very simple, ensuring the levels are correct and everything from the original recording sounds as good as it can, or it may be much more involved, with different layers of sound effects created and woven into the finished film to give it an extra layer of polish. And that’s it, the film is approved, made and ready for distribution on the web or for TV ads to the different broadcast channels, all of whom have their own specific technical delivery requirements that must be met before a commercial can be aired. Once a film is complete we are often asked to make different versions – maybe short format films for social media or foreign language options. All of these can easily be accommodated, it’s great for us that clients want to maximise the exposure of the films we make and make the most of their new film assets. And that folks is a WRAP!